Fuel your Mexican adventure with custom cocktails and bold flavors, magnified by Punta de Mita’s sunshine and beachside setting. 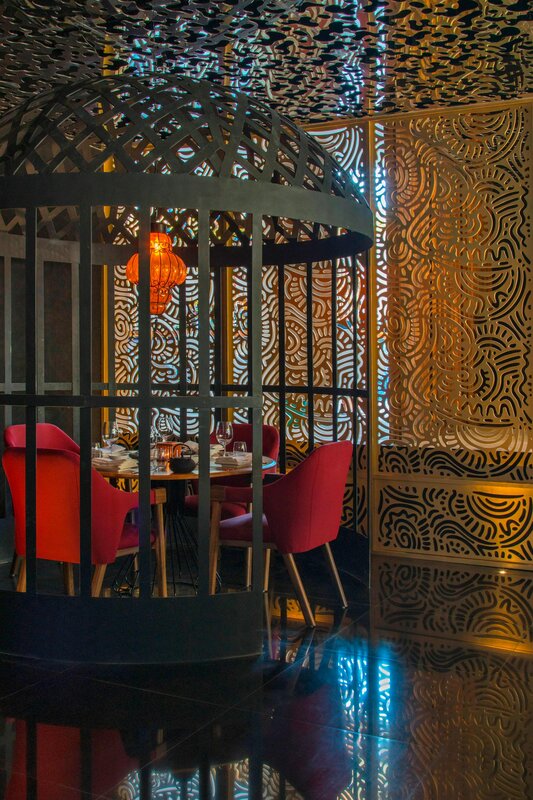 All day, every day Venazu combines authentic Mexican cuisine with a casual, yet celebratory setting, while the Living Room provides all hours sips and light bites. Outdoors, the WET Deck promises refreshing drinks and snacks to keep your poolside session going, and our beachside Chevicheria offers a refreshing menu of fresh raw fish and seafood served with craft beers from a converted 1950s Chevrolet 3800 truck. Mesa 1, one of the world’s most exclusive restaurants, invites you and up to 18 of your closest friends to indulge in a one-of-a-kind seven-course epicurean dinner, whereas the Pan-Asian Spice Market showcases the region’s traditional dishes infused with Chef Jean-Georges Vongerichten’s creative twist and paired with handcrafted cocktails. 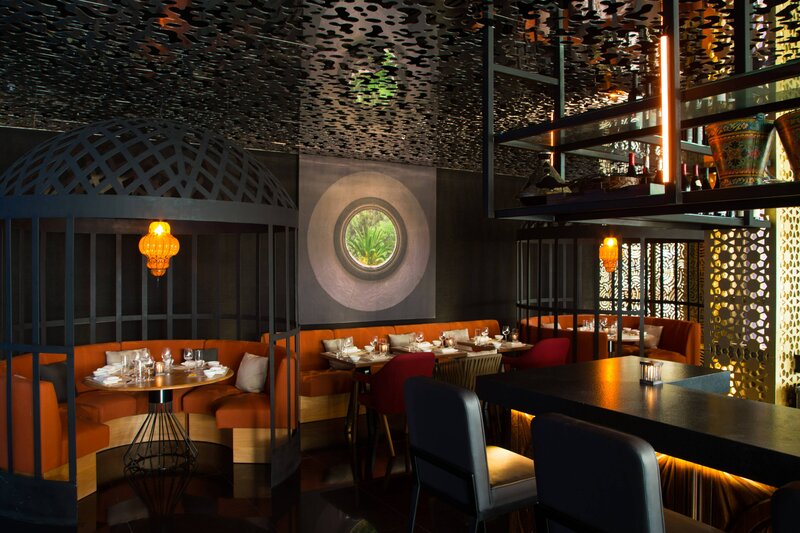 Discover a unique fusion of celebrated international cuisine, tropical ocean views, and live DJ mixes at Spice Market, the only Mexican outpost of Chef Jean-Georges Vongerichten&apos;s internationally renowned Southeast Asian restaurant. 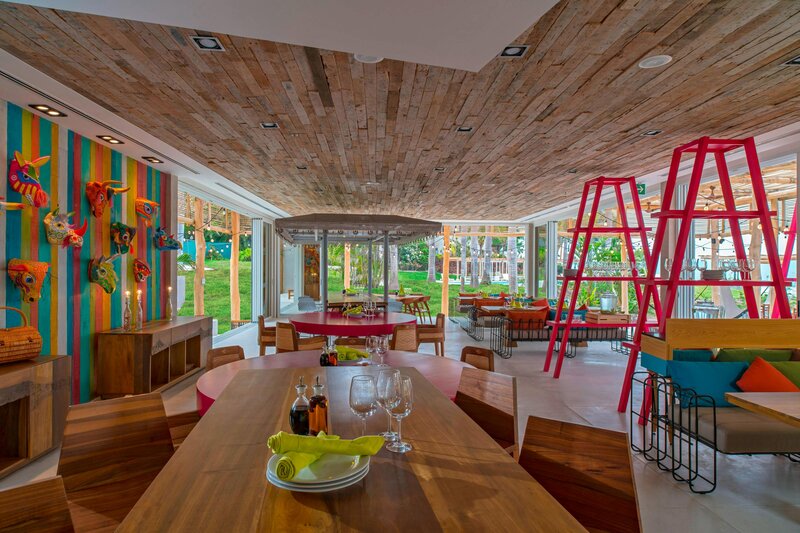 Tap into Punta de Mita&apos;s bohemian beach culture at Chevicheria. 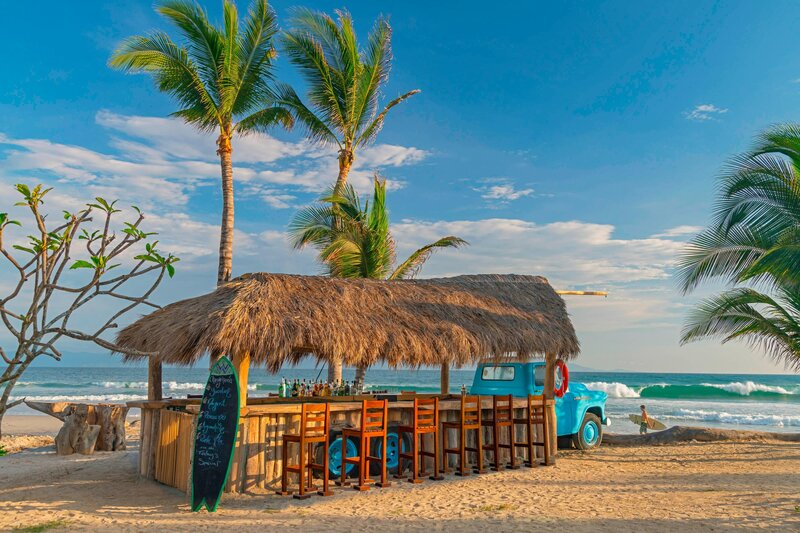 Located beachside, the laidback bar serves Latin American ceviche featuring fresh seafood and citrus, prepared out of the bed of a &apos;50s Chevrolet pickup truck. 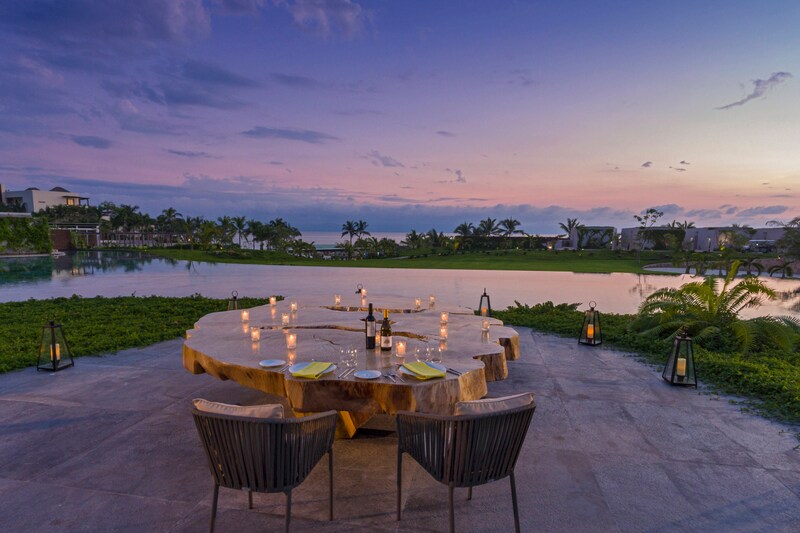 Steal the scene with an unforgettable seven-course dinner at Mesa 1, our private dining venue situated on an island in the center of a spring-fed lake. Available by reservation only, this enchanting venue hosts anywhere from two to 12 guests. Join us from sunrise to sunset at Venazú Restaurant. 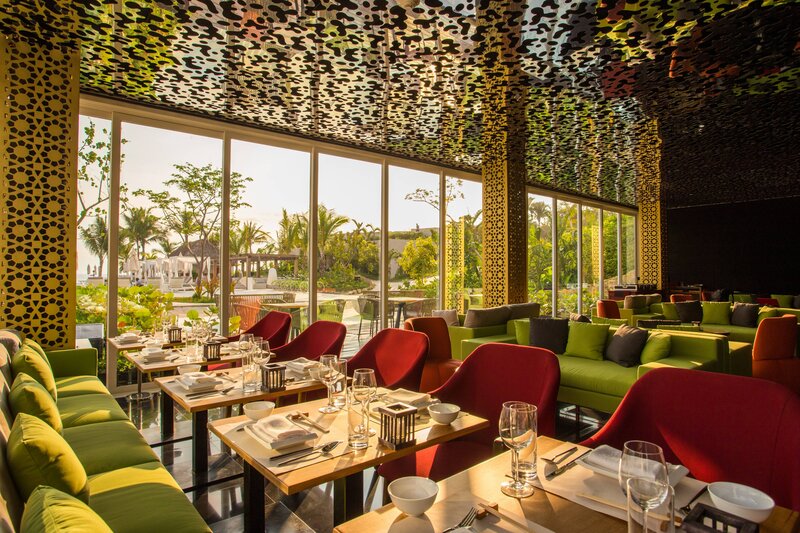 This all-day dining venue serves fresh and contemporary Mexican flavors in an inviting laidback ambiance that includes a patio with sweeping views of the tropical resort and Pacific Ocean. Salero, a newcomer to W Punta de Mita is a fish market-inspired restaurant that will make you feel like a local “Pata Salada” – slang for bay residents. Choose the freshest sea indulgences prepared as you want, including ‘Zarandeado style’. Open for lunch Dress code: Shirt/Slacks Req. Family-friendly restaurant offering a full-bar and a modern German menu emphasizing on freshness and quality. Mexican restaurant serving up seafood and other traditional Latin American dishes. Italian restaurant in a marina setting. Open for breakfast and lunch, the menu features organic Arabica coffee selection, freshly squeezed juices, detox smoothies, frappes, organic eggs specialties, bagels, French quiches and fresh salads.